He didn’t run, he didn’t disappear. The former Nazi lived peacefully in a Philadelphia row house, sometimes feeding treats to his neighbor’s dog. Johann Breyer’s true identity had stopped being a secret decades ago, at least to the U.S. government and the dwindling number of Nazi hunters who knew his name. Nazi dictator Adolf Hitler squirrelled away a massive fortune using cash he had 'earned' from his image rights and personal appearances as well as his refusal to pay £1.75 million in income tax. The Fuhrer even levied a royalty on German stamps featuring his image, with the cash hidden in his secret bank accounts. The mystery surrounds a secret will discovered by Herman Rothman, a German Jew who operated with British intelligence during the Second World War. ^ hmm if he lived a quiet life in the US, considering all this time that had passed since Nazi Germany collapsed, do you think he should even be brought on trial? meron mga hudyo na mga natzi hunter pag nalaman buhay sya kikidnapin nyan dadalhin sa israel yan. meron isang natzi na hinuli sa ibang bansa ng mga hudyo pinapili sya kung papatayin sya on the spot o mag stand trial sya sa israel pinili nya mag stand trial yun lang bitay hatol sa kanya. Today marks the 100th anniversary of the assassination of Archduke Franz Ferdinand which sparks the start of World War 1.
like what happened to Adolf Eichmann. the former Nazis back to Israel. hindi ba dapat sa international court managot mga ganyan? Russian photo manipulations during WW2. history chanel tonight at 10:00. Happening Right Now! RIMPAC 2014. 38 Warships, 4 Subs! Sobrang astig nito! Lalo na yung mga WW2 shares.. Thinking about WW2 makes me want to witness and go back to history.. As in yung tipong pinapanood mo yung actual na nangyayari. Any good sources to watch about WW2? Those that are highly recommended? ^ hanap ka sir yung mga History Channel dvds! i have a little stash of those, those must've been really hard times on everyone. any of you guys on the FB group called ASEAN Military Defense Review? it's supposed to be a military / defense oriented interest group. pero madalas pag pinoy nagumpisa ng thread e nagiging pataasan ng ihi. Some unit coins given to me by miltary buddies. 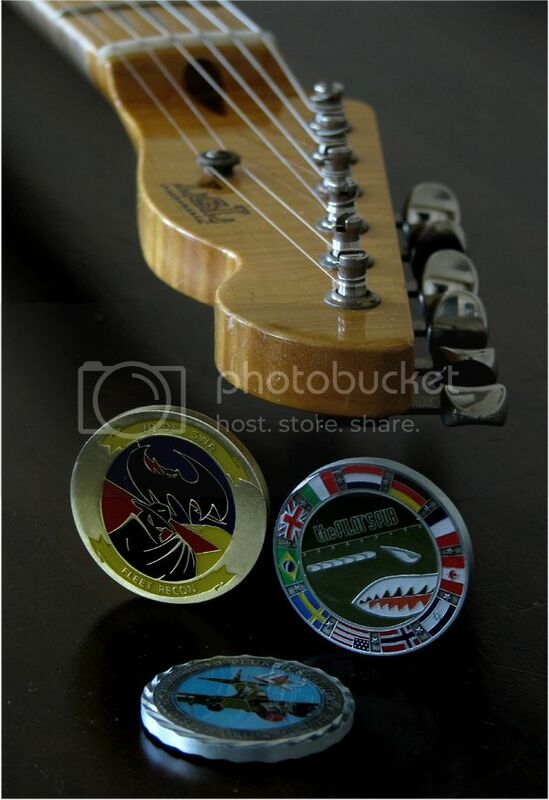 The brass coin on the left was my design and is officially being used by one of the U.S. Navy's squadrons. Yeah, I'm very proud of that one. It shows that the DET SWA was once again VQ-1 and 2 combined. 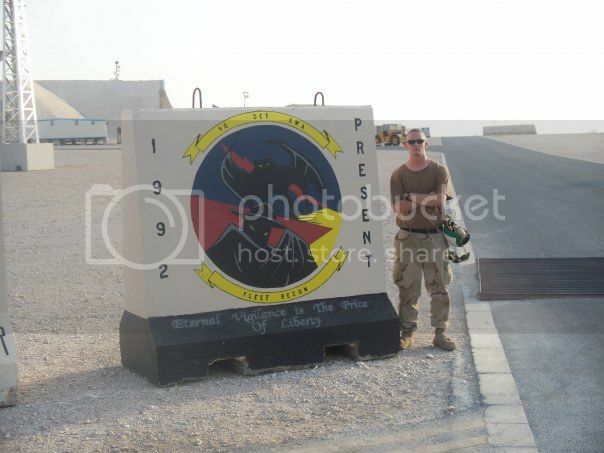 This photo was taken in Qatar, logo painted on a concrete barrier. Last night was reading about the history of. Commissioned fighter jets from the f14 to the new ones..yung mga bago like yung f32 ba yun? Overbudfet ns and mired by problems..and politics...haha grabe ano? Yung hornet at super hornet ang madaming in active service ngayon..
Thats because Israel does what it wants and doesnt care who he tramples or murders. I too am fascinated by these 2 world wars but i just came across the reasons why they happened and that is the real tragedy. It felt like my brain was thumped out and placed in a blender. Nasty stuff those Jewish communist, double crossing bankers. Im am now considering buying a Leica M6 just coz of Germany. Bad Behavior has blocked 83349 access attempts in the last 7 days.